Time: Thursday October 10th, 2018 @ 7PM. 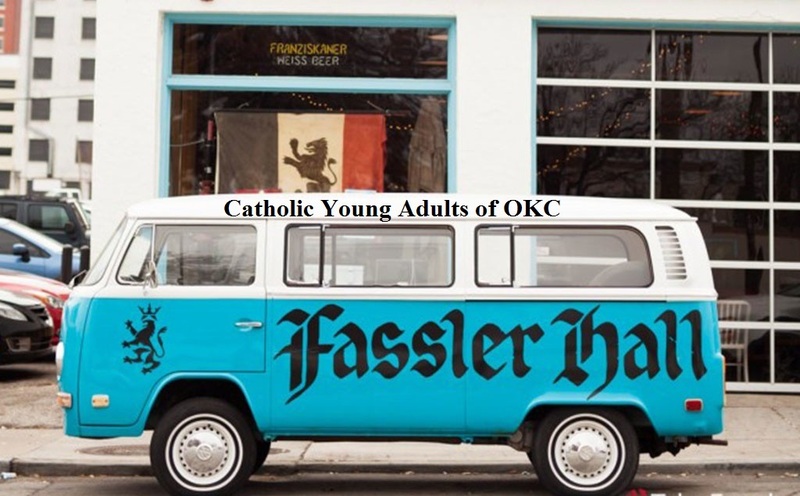 ***DUE TO THE DROP IN TEMPS, WE WILL BE AT FASSLER HALL*** Join us at Fassler Hall (dog friendly) as we gather for awesome conversations and a great place to enjoy some time in fellowship! 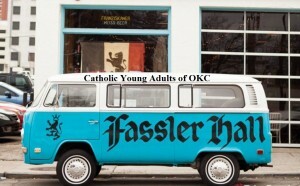 This is a great event to learn more about the Catholic Young Adult community! Invite some friends and we will see you soon! We encourage adoration which will be available from 12pm (Thursday) to 12pm (Friday) at St. Josephs Old Cathedral (just a mile or so from Bleu Garten)! If you are interested, please contact Dominic Hoang (405-204-1012) for the door code to the church. ← YOUNG ADULT MASS AND COOKOUT WITH ARCHBISHOP COAKLEY!